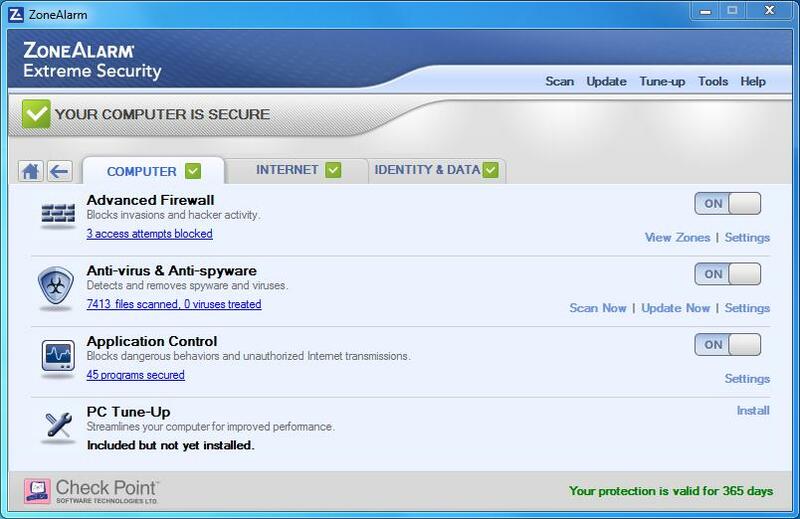 ZoneAlarm Extreme Security is a powerful security suite that offers complete protection against malware, with a strong antivirus tool, with an advanced firewall with Web Security, as well as with other awesome features. It gives us the necessary protection for any kind of computer activities by removing viruses, spyware, Trojan horses, worms, bots, by neutralizing hacker attacks, protection against rootkits, identity theft. - Identity theft involves: ensuring protection of data, such as address, data about your card, phone number; receiving daily credit reports and a free telephone service for victims of identity theft, (it's valid only in the US). 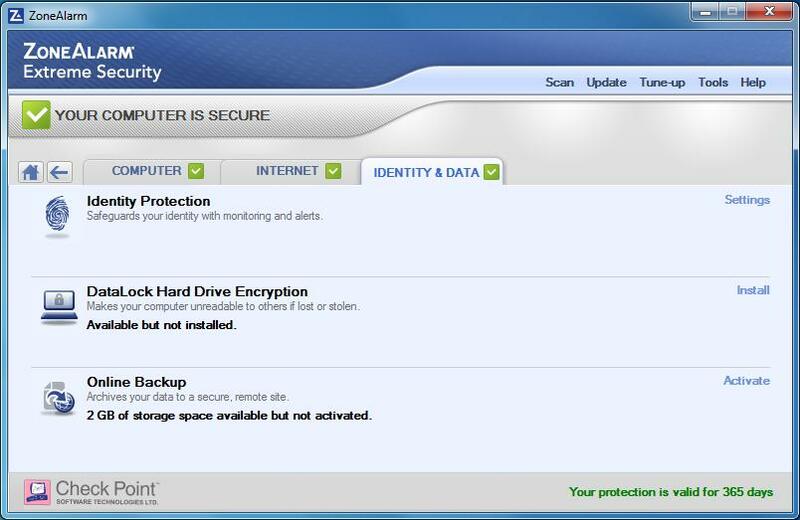 - Online Backup: so you can establish what kind of information, you want to have a copy of, and you can be sure that they remain confidential because your files are encrypted and have a passwords, known only by you. 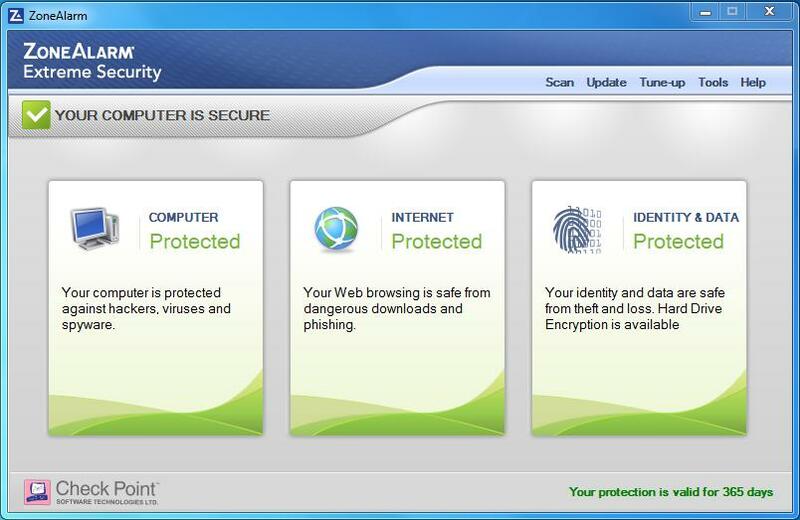 – enhanced security Internet browsing, through Browser Virtualization (it keeps you safe from threats) and other efficient features (that keeps you away from dangerous sites and downloads), such as private browsing, and registry cleaning. 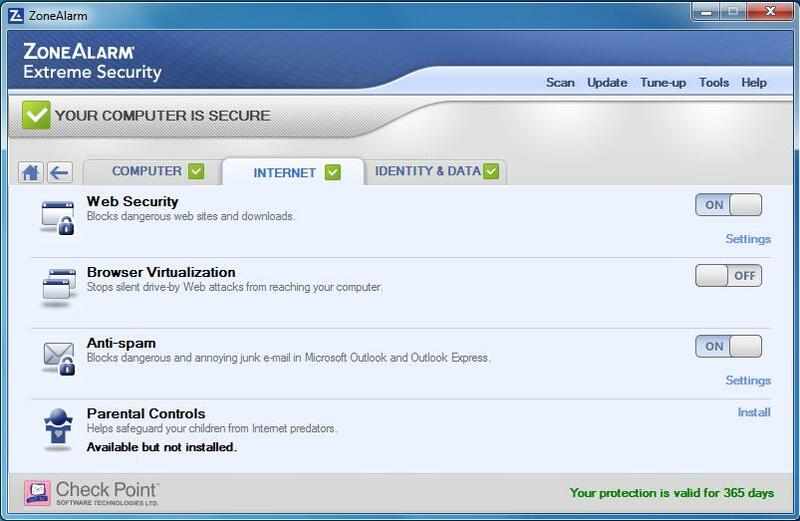 - Advanced Virus Removal and Virus Pre-Scan, which involves removing viruses from the time of their installation. Also a novelty, brought by ZoneAlarm is the user-friendly interface where you can easily set options, giving you Game Mode, and customer support, online forums and Live Chat 24 / 7. It is a trial software, so you can use it for 30 days before buying the license. - Microsoft® Windows 10: 2 GB RAM, 2 GHz processor, 250MB free space on HDD.